Did you read this book? 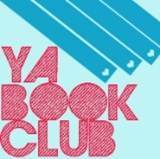 Do you participate in “offline” book clubs? You know when emotions run wild while you´re reading and you´re feeling ALL the feelings? Summary from Goodreads: Taylor Edwards’ family might not be the closest-knit—everyone is a little too busy and overscheduled—but for the most part, they get along just fine. Then Taylor’s dad gets devastating news, and her parents decide that the family will spend one last summer all together at their old lake house in the Pocono Mountains. I really really enjoyed Morgan´s debut (yes she doesn´t know we´re on first name basis :D) AMY AND ROGER´s EPIC DETOUR but I loved this one. Maybe it was because of the family dynamics which were much more present into this book or because Taylor is trying to deal with the illness of her father without really knowing how to or because I came to love the secondary characters so much I wanted to hug them through the pages. The book includes flashbacks into past summers. Getting a glimpse into Taylor´s life as she was younger such as how her first kiss unfolded was so adorable, cute and at the same time so sad and so hopeful. The relationship of Taylor and her dad felt real to me, just like the relationship she had with her mother and her siblings. I could hear them and see them. Taylor and her dad made me laugh and made my heart squeeze. So many times in that book, I tried to detach myself but couldn´t because the raw emotions running through me were too real. The gestures Taylor and her dad have for each other, their struggle to find a balance, his reminders to her throughout the book about how much he loves her, the hints she gives him are very powerful. Taylor and her mom appear to not be as close but she recognizes it is also a result of all the walls she built around herself. I choked up at one thing Taylor says because it just felt so real. Taylor and her siblings pretty much discover each other during the summer and there are parts of this discovery that had me laughing (not too loud because of the sleeping hubby). But at the same time, you wonder just like Taylor if it´s ok to laugh in these moments. And then, there are Henry and Lucy….yes you should dicover yourself about Henry and Lucy. I think we all have a friend like Lucy, the childhood friend who knows you inside and out. And Henry, well…You´ll have to see for yourself. Previous postWhat´s Up Wednesday? And a Ready. Set. Write. thank you! I didn’t realize this was the same author as the epic detour book. I keep seeing this book come up for the book club, I really want to read it! There were some AMAZING quotes in that book, and that Beatles one was definitely one of them. TRUE, TRUE, TRUE!!! And this: “I came to love the secondary characters so much I wanted to hug them through the pages.” I wanted to hug ALL of them! Great review, Elodie! I did very much enjoy EPIC DETOUR too, but I LOVED this story! This was such a good book, even if there were some seriously sad moments (the stargazing!). I think Morgan Matson handled this so well and struck the perfect balance between happy and sad. There was just enough romance to add a little swoon, but not too much. I like how she used the Beatles quote, as well as the Dickens quote: “It was the best of times, it was the worst of times.” So, so true and a great way to sum up the story. Great review, Elodie! I enjoyed all the family relationships and felt like the growing together of Taylor and her sibs at the same time as she was getting to know and learning to say goodbye to her dad was very powerful. Even though it’s sad, it did give me hope, for Taylor and her family. I loved the moments you alluded to when Taylor was having fun or enjoying herself and pulled back because should she be laughing when her dad’s dying? Shouldn’t she avoid fun? It was such a real reaction to rekindling her first love—really, her only love—while losing a parent. Hi to every , because I am really keen of reading this website’s post to be updated on a regular basis. It contains good material.